10 registered (ArmyPT, Sunil, bassmaster61, Zep, Jtparker779, Bocomo, Dave_IA, Brad Holister, Jjksswan98, Shorty), 201 Guests and 198 Spiders online. somerset, were your ponds called Lake Gloria or something like that? 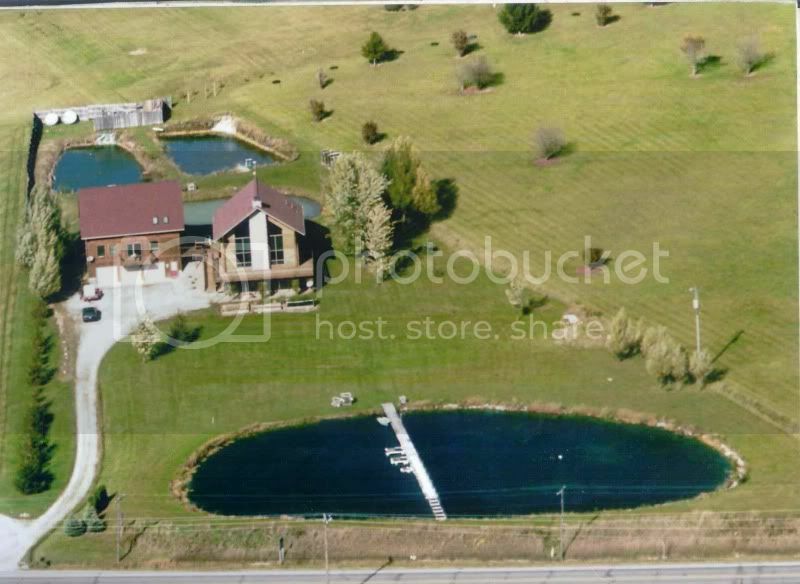 My pond is in Somerset PA.
A private fishing club would be a much better idea than just pay fishing. You should be able to get more for the work involved and may not have to be there as often. Club members usually pay an annual fee vs. pay fishing which is on a daily or pounds of fish taken. I would suggest finding out what the lake was planted with when it was pay fishing and/or have a survey done. Then go from there depending on what you want to add. If it's able to support trout I think that would be your best bet. If you've got an isolated setting that is esthetically pleasing that is a definite plus. I have been approached by a club about doing something also, so I am curious about this also. How many avid fishermen do you think 7 acres of water could support? How much would people be willing to pay? Sorry, more questions than answers but my gut feeling is you could make this work. Perhaps you could even recruit some other private pond owners as well. You've got my wheels turning. If you are talking about catfish and bait fishing, then that is one thing, but if you are talking about LMB and sport fishing with flies/lures, then it is an entirely different matter. There is a group that has formed in Texas that leases ponds from land owners and then turns around and sells fishing rights to the general public. For LMB fishing, they are very careful to limit fishing pressure knowing full well the consequences if they do not. I'm very interested in what happens to their business and plan to join just to be able to study more ponds in various situations. The annual fee for an individual member is $295 for the first year and only $150 to renew every year after. We have over 150 lakes in Texas and Oklahoma for available for Club use. Day rates on average are $25 per person for 1/2 day fishing and $45 per person for a whole day fishing. Half days are from Dawn to noon or noon to dark. All day is from dawn to dark. You can bring nonmember guests. They will pay the club day rates and a $12.50 guest fee. Meadowlark, of the 150 lakes for club use, are there any in the Austin, Texas area? Is any gear provided, etc? It looks like there are several in the Austin area. Unfortunately, not many in my area of East Texas.